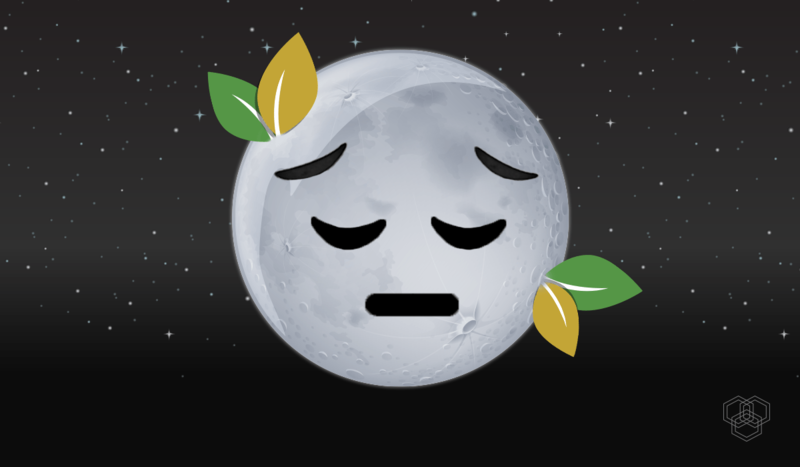 Well, they might have represented everything the Chinese were able to do before the rest of us in space just yesterday, but now the plants that just sprouted on the moon are dead. To be fair, it doesn’t come as a surprise to those who designed the experiment, but many of us are still bummed. Tuesday was a big day for Chinese space science, as the National Space Agency’s Chang’e 4 lander sent back photos of a growing (albeit tightly contained) lunar potato plant, but announced later on that same day that it had already gone kaput. No moon potatoes for us. The experiment’s chief designer, Xie Gengxin, knew that it was likely that anything inside the canister would perish during the first lunar night, which began on Sunday and lasts 14 days. A lunar “night” has no sunlight and temperatures can reach a low of −274°F (compared to 260°F during the 2 weeks of “daytime”). That’s a lot a fluctuation for a non-acclimatized little seed. Now it’s likely that everything else in the container will decompose. That means we’re unlikely to get out first lunar birth from the fruit fly eggs in the container. So much for space birth for now. The seeds had been rendered dormant for the two months between final checks and take-off and the 20 days between take-off and landing, according to Chinese news. But they were roused from stasis upon the lander’s January 3rd touch-down on the “far side” of the moon when they were watered for the first time to spark the growing process. But lunar night meant the lander went into “sleep mode” on Sunday, and Xie knew the plants were unlikely to survive much beyond that time (despite the Chinese releasing photos of growing plants). While plants have previously grown on the International Space Station, the moon is a much more complex environment. It doesn’t make much sense to artificially simulate an environment in which the plants can grow at this point since scientists are still collecting data on what’s possible when it comes to creating a mini lunar ecosystem. Luckily, there’s virtually no chance that the organisms will contaminate the moon since they are locked away in a canister inside the lander. To be honest, we were kind of hoping for a more epic start to a moon base, complete with moon fries, but we’re going to have to wait. It turns out that this whole experiment was a winning idea from a student contest to design the makeup of the mini biosphere held by China’s Space Agency, Ministry of Education, Academy of Sciences, Association for Science and Technology, and other organizations. The 6-species ecosystem beat out 250 other entries and was then formally designed by the Space Agency itself. While we were hoping to see more from this experiment, this is a huge first step. But now the challenge to truly grow the first plant or birth the first organism on the moon remains open. While the Chinese will launch more missions before America returns to the moon, we’re farther away from Chinese lunar bio-supremacy than we thought.